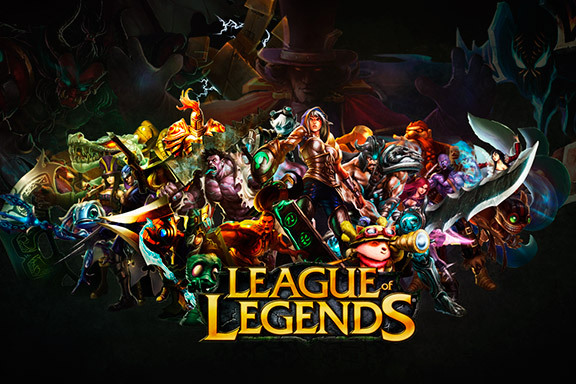 As one of the largest game around the world currently, League of Legends has undeniably garnered and won over a massive fanbase throughout the years since its first debut, and has grown from strength to strength continuously improving and enlarging the set of lineup it offers. Being huge is also being one of the most popular titles in the world of global eSports, and one of the most famous lines in the industry's history is by Brandon Beck, the co-founder of its founding company Riot Games. True enough, Riot Games has taken the bold step to take League of Legends and more essentially pushing the eSports industry forward to move up the ranks and incorporate the industry with elements inspired by the Olympics. "We looked at the more traditional sports like baseball, football, basketball, soccer", vice president of eSports and special projects at Riot, Dustin Beck pointing out to Edge, "and a big thing that we'd never seen done before is an all-star game"
To proposition eSports to a level of Olympics quality (or so to say), not only should the technical abilities be improved or only the community-engagement level be pulled up, but it should also ultimately front a sense of meaning and fulfilled experience. "We’ve hired people with experience at the Olympics. Our head of global content is a three-time Emmy Award winner. We’ve also added some other core elements that I think have been missing from eSports," he explains, "we do a really good job of storytelling behind the scenes. We want to know who Dyrus is. We want to know who Dyrus’ dad is." How the community has always been responding to League of Legends as a globally-known, globally-respected eSports title have been exceptional to say the least, but as Beck pointed out, it really is time for eSports to start showcasing and to start developing the individuals of the sports and up, up beyond their current fame. Their potential is already known by avid fans, gamers alike, but it's also time to bring his story, his choices, and his growth to another level where it becomes mainstream. And that's what eSports desperately needs, becoming anything but mainstream.